The day started as early as 3 AM in the morning for me as this was the last day of Saher (Fasting) before Ramzan. After Saher and the morning prayers there was not much time left to catch a shut eye as we had a volunteer meeting scheduled at 7 AM at the venue followed by a planning over breakfast. 11:46 am-12:15 pm Portfolio update by Vice Presidents. 12:31 pm-01:30 pm Key Note Speech – Chief Guest. Post AGM had to rush to my hometown for Eid celebrations with family and friends. At one end there was this feeling that AGM just a day before Eid was really taxing yet we were able to carry it with ease and flair. A event that was a full house attendance and went well. 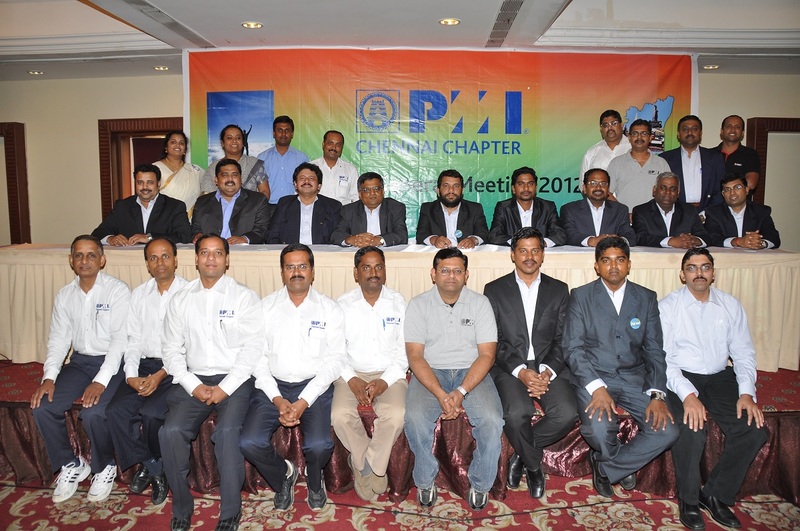 And we volunteers carry forward with renewed vigor for another year and fresh burst of energy for the PMI National Conference 2012 that is just round the corner.